Yearly calendar reverses to a dedicated planning space with border. Yellow-highlighted QuickNotes® section on both sides for priority planning. Erases with a damp cloth. Yearly calendar reverses to a dedicated planning space with border. 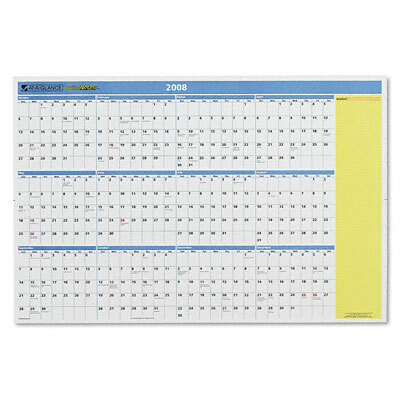 Yellow-highlighted QuickNotes® section on both sides for priority planning. Erases with a damp cloth.